Last year, CNBC released an article about how much the average person would spend on Valentine's Day - $218. This would involve the usual suspects; a card, some flowers, dinner and chocolate...plus an occasional present if you're lucky. But do you really want to do that again this year? Here's a solution to making a thoughtful gift: This Valentine's Day, why don't you give the gift that gives? 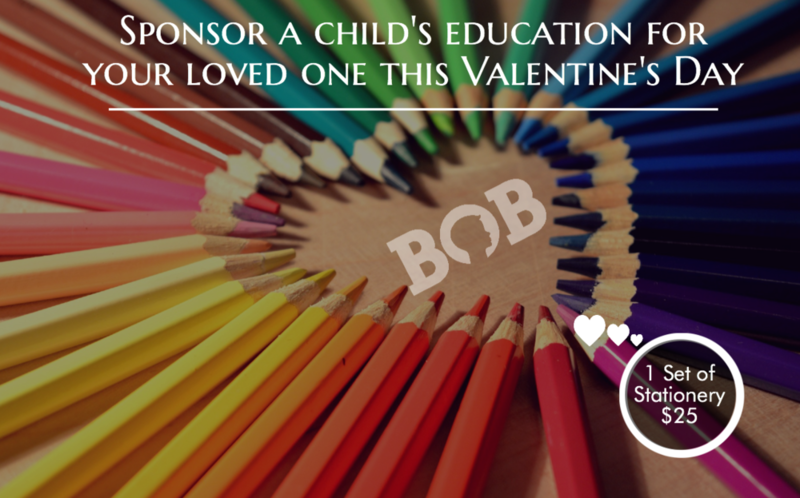 Instead of the usual chocolates and flowers, why not WOW them with a donation in their name. This simple gesture can change the life of a Syrian child living in a refugee camp. What's more? Once you have made your donation, we can send you a personalised e-Card letting your special Valentine know just how much of a difference they have made.